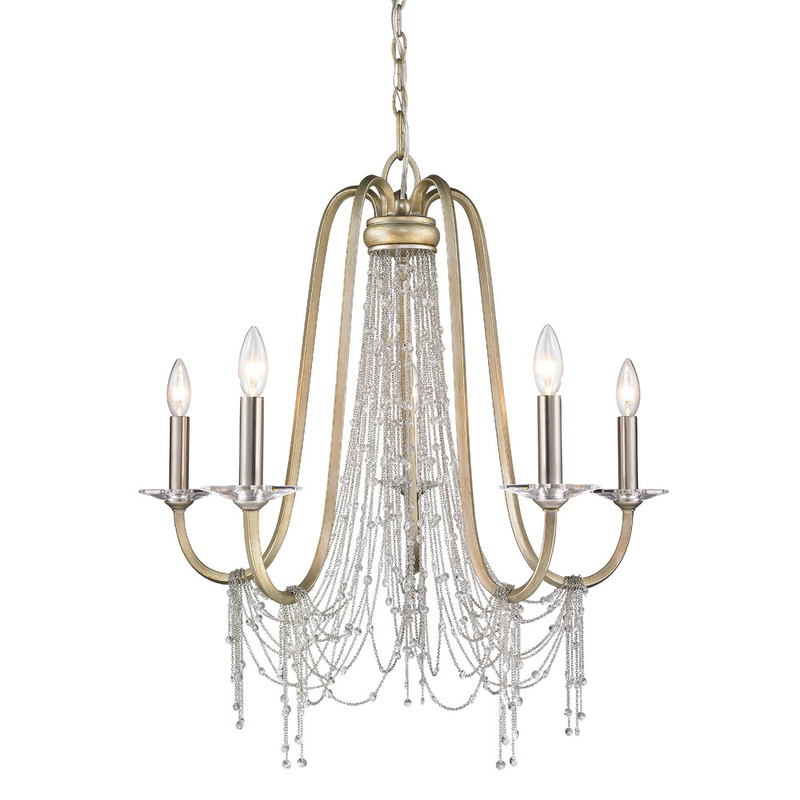 Golden Lighting Sancerre Collection 5-Light crystal style chandelier in white gold finish, uses five 60-Watt type B incandescent lamps. It measures 27.75-Inch x 28.625-Inch. This chandelier has strands of cascaded gleaming crystals draping that brings whimsy feel as well as elegance to the house. It comes with 6-ft chain and 10-ft lead wire for easy installation. This chandelier is ideal for kitchen, living and dining room. Chandelier is UL/cUL listed.